Naturally today being the most important holiday to our American friends all five of this week’s prompts are about Thanksgiving; favourite recipes, traditions, fav memory, poems and who is cooking the turkey. There are a considerable number of us outside the festivities but this does not exclude us from participating or giving thanks. Thankfulness is international. That is, the celebration and appreciation of thanks. We can all be thankful but of course we do not have to be either. And what we are thankful for depends on age. When I was a child I was thankful for a new toy perhaps. I tend to think children were actually more thankful back then, but I could be wrong. Even though it is popular, not just today to express our thankfulness, I wonder if some of us are really capable of giving sincere thanks or if we just say it. I have met people so embittered by life they could not see anything to be glad of. I wonder if in spite of what we have if we are losing our ability to be thankful, if we are just becoming expectant. I won’t give a list of the things I am grateful for today, I will just give thanks that I am grateful. It takes heart to be capable of thankfulness and to have heart we must have the ability to feel for others not ourselves. Thankfulness is not about ourselves, it is about all we are connected to outside of, which then becomes inside of us. MAY ALL TODAY, WHETHER ALONE OR WITH OTHERS, FIND THEIR HEARTS AND MINDS TOUCHED. Well that Mama Kat hit it pretty good this week with her list of prompts which includes 10 TV shows you’d like to see back. I figure the list will reflect the age of each blogger and therein lays a lot of the fun! 1). Annie Oakley 1954-1957 and starred Gail Davis as a big sister to Tagg her brother who were orphaned and lived in Diablo Arizona with their uncle who was the sheriff. That girl could ride, shoot and each week captured some outlaws all the while wearing exactly the same fringed cowgirl outfit and being adored by the deputy Lofty. She was savvy, smart, and set a pretty good standard for young girls everywhere. 2). Father Knows Best 1954-1960 and starred Robert Young as the all wise Jim Anderson. Jim and his wife Margaret parented Bud, Princess and Kitten. Both parents and children made mistakes and learned from them and each show taught us something about values. It’s funny that I heard criticism in later years that this series created unrealistic expectations for those of us growing up. I guess it was better to have shows like Married ..with Children that taught kids and parents to be rude, crude and mouthy. 3). 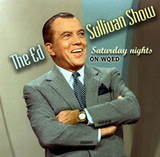 The Ed Sullivan Show ran for an incredible 23 years from 1948-1971. We watched it every Sunday night. Other than the jugglers and plate spinners it was the best entertainment anywhere. That’s where I first saw Elvis, the Beatles, The Rolling Stones. No chat just pure live performance. 4). I love Lucy in it’s original purest form ran from 1951-1957. What’s not to like…ditzy wife, good looking husband stirred together with the original BFFs Fred and Ethel. 5). Bonanza 1959-1973 starred Lorne Greene as Pa Cartwright with 3 adult sons; Adam, Hoss and Little Joe. Every teenage girl loved Little Joe but I never went for the obvious cute guys. It was Adam, Pernell Roberts dark and brooding in black that rang my chimes and covered my bedroom wall and ceiling. 6). The Andy Griffith Show 1960-1968 was just such a laid back wholesome break with Andy, Opie, Aunt Bee and Barney at the core. Barney as Andy’s deputy could not be trusted with a loaded weapon and was allowed to carry only one bullet – in his pocket. 7). Rowan and Martin’s Laugh-In 1968-1973 was the best consistently comedic show of all time and truly was a laugh in. We got to meet Goldie Hawn for the first time and added new phrases to our every day language like, Sock it to me, Verrry interesting and Look that up in your Funk and Wagnalls. 8). The Saint, The Avengers, The Man from U.N.C.L.E All classy spy and anti spy adventures! Whatever happened to class and finesse?? 9). Hawaii Five O 1968-1980 the original with Steve McGarrett sayingBook em Danno weekly. Nice scenery, nice cops. 10). Ben Casey 1961-1968 with Vince Edwards made hospital whites very very hot as well as a large portion of the female audience. Thanks Mama Kat what a nice trip down memory lane! This week’s prompts and I got nuthin!
.) Girls Night Out! Describe the last time you got to hang out with your friends? What stops you from doing this more often? 2.) If Social Media died tomorrow, describe another hobby you might get into. 3.) Share a Summer Camp memory. 4.) We’re too old to be getting in trouble…aren’t we? Write about a time you were scolded…as an adult. 5.) Barefoot and hormonal…describe an incident that upset you when you were pregnant, but now looking back makes you laugh. Oh my! My nightmare has come true. Prompts yes Inspiration No. I am museless, clueless. Girls’night out? Yes without a doubt the best at an old four hundred year old country bar, Commercial by name, but home just the same. Beer. music, dance, and maybe by chance, a cowboy. Social media died? I cried. Or not. Then to the street corner, speaker’s corner to spread my message far and wide. Summer camp? It was damp. And buggy and hot and a snake crawled out of our portipot. Old and in trouble? Don’t break my bubble cause trouble and scolding just keeps molding. Barefoot and hormonal? Oh Lord it’s just normal. Preggie and menopausal and all things between. So Mama I fail you and I fail me. When I find that muse he is getting such a beating! Mama Kat’s Writer’s Workshop Flaws in My Genes? Some weeks a prompt is difficult. This week there is several I could address but the most interesting is: 3.) Describe a talent or flaw that seems to be in your genes. Now I would prefer that all my flaws were gene induced otherwise I would have to recognize and deal with character flaws and that would never do. Or should I be thinking my genes are not at all flawed that the g pool is perfect and that I in some way screwed them up? Not a chance. The nice thing about flawed genetic material is that its not my fault and I just need to work on overcoming, enhancing and perfecting them. After all we are recipients of said material at birth. Right? Now my research shows that genetic disposition is usually related to passing on disease. There is a strong argument that behavioral traits are in fact as much as or more of a social thing. The basic assumption being that genetic traits are unchangeable. I believe that my personal study of six decades renders that balderdash. So lets look at nature vs nurture which could be a whole other discussion but seems to fit here – in my mind at least. 1) Loquacious – meaning talkative or verbose in the extreme, can also be translated into verbal diarrhea. Surely this has to be genetic. I believe, with no scientific proof at all, that my cave dweller ancestors fell into one of the primordial gene pools floating around at that time and absorbed a substantial amount of this material. Of course they did not know it at the time as there were no words but by george when there were words, that particular line has not shut up since. 3) Self Perception – why I perceive myself as Queen, as special, as a genetic pool worth dipping in…oh…so that is not genetics…uh huh..oh…delusions maybe. Will think that one out a bit more. 4) The cooking gene – This one is proff yet again that genetic traits are changeable. 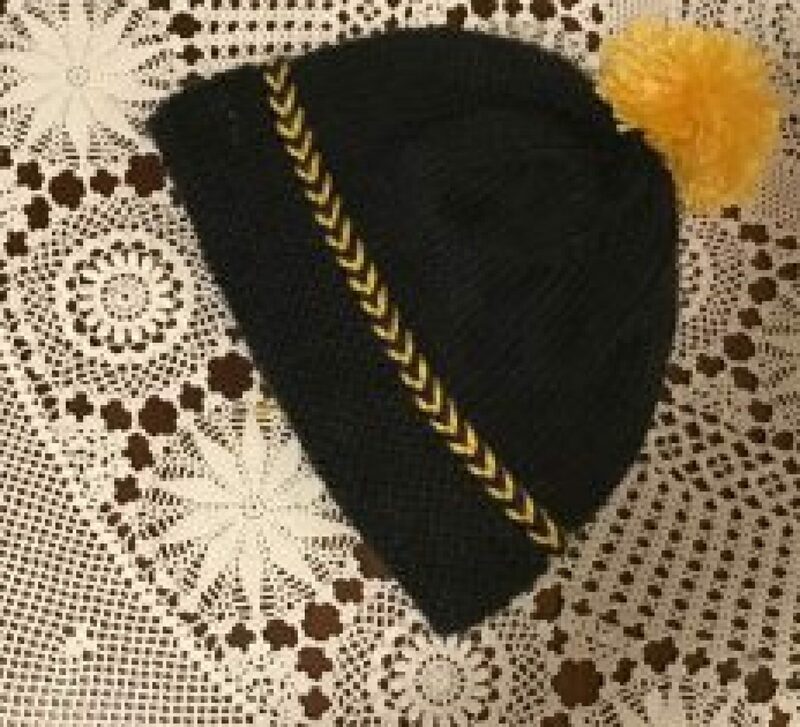 I used to have it when my family was young. I gave fabulous dinners people raved about. But I lost it. Perhaps it is a recessive gene that can be recovered. Lets hope. 5) The, I get lost anywhere gene – No sense of direction in a world where so many others do not? That is definitely gene related, it just has to be. In south Texas I never got lost. Roads are straight there, but put a slight curve in the road and all the GPS units of the world cannot save me. You know I could go on forever it seems. That may be TMI. Lets just say I will stop there but I now realize as I start to tidy up my environment I should also start on that particular pool and perhaps change the thinking that genetic traits are in fact changeable. My Current 10 Favs Include more than one person. 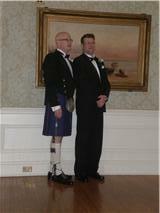 1) I love Kilts and Best Brothers – and yes the kilt was worn au naturel as demanded by tradition. 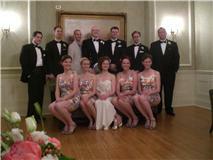 Mary Beth or MB who has just married my son in the Kilt. general silliness and are devoted to their wives. of honor set off to retrieve them. me…at least that I heard. who wore a kilt to honor my mothers family the Jenkins. his wild appreciation of life. 8) I love MB’s family who have taken Ryan as one of their own. 9) I love my sister Jane who provides more support than she can ever know. her dress off and promptly gave me hers. Right there. Right then! And really there has to be one more..sorry Mama Kat I know I am breaking the rules. 11) I love every reader, every one of you who comments on my blog. You are the best!